Game where you find mistakes in two similar pictures. Top community discussions about Can You Find It? Is there a better alternative to Can You Find It?? Is Can You Find It? really the best app in Puzzle category? Will Can You Find It? work good on macOS 10.13.4? Can You Find It? 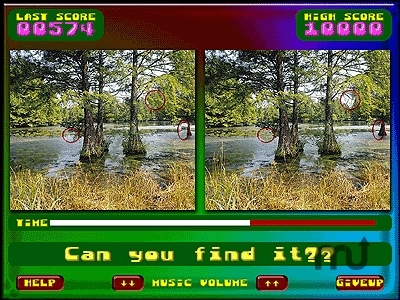 is a game that displays two pictures that appear to be identical next to each other. The object is to look closely and develop and eye for which image has been modified. In the variation-mode you have to find puzzle-pieces hidden in the picture. What's New in Can You Find It? Requirements for Can You Find It? Can You Find It? needs a rating. Be the first to rate this app and get the discussion started! See more reviews for Can You Find It?